“A magnificently detailed portrait of the great Italian composer (1813-1901) that refutes many myths and uncovers some unsavory new material, including the strong likelihood that before their marriage Verdi and Giuseppina Strepponi conceived several children who were abandoned at birth. Just as important as her full-bodied rendering of Verdi's personal life is Phillips-Matz's powerful delineation of his confrontations with pre-Unification Italy's foreign masters. Verdi's art was deeply political, she reminds us, and he used his wild popularity to ensure that it would be heard in the form he intended. “Mary Jane Phillips-Matz was known in particular for her monumental volume VERDI: A BIOGRAPHY, published in 1993 by Oxford University Press. Spanning 941 pages, the book was the product of some 30 years’ research. Reviewing it in The New York Times Book Review in 1994, Edward Rothstein, then the newspaper’s chief music critic, called it an ‘important biography’, adding, ‘provides us with a more complicated portrait of the man than we have had so far’. The biography won an ASCAP Deems Taylor Award in 1994. 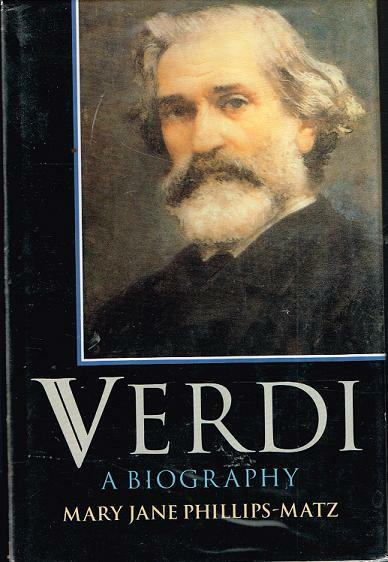 Verdi, Ms. Phillips-Matz’s biography explains, was a man of outsize moods and corresponding actions. He could be immensely generous, founding or supporting schools, hospitals, libraries and a musicians’ retirement home, among other good works. Yet after a rift with his family when he was an adult, Verdi legally disowned his father and forced him from his home. He also may have sired at least one child out of wedlock who was given up for adoption at birth. Ms. Phillips-Matz took a similar approach in PUCCINI: A BIOGRAPHY (2002). The book portrayed its subject as a simple man of immoderate appetites — for fast cars, speedboats, cigarettes and women. In the late 1940s, after earning a bachelor’s degree in medieval literature from Smith College and a master’s in the field from Columbia, she began writing for Opera News magazine, to which she would contribute articles for more than 50 years. 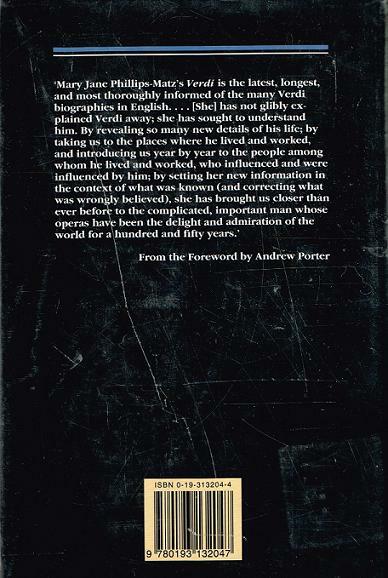 She was also a regular writer of program notes for the Royal Opera House in London.